Hence Travelpro Maxlite 4 can fit the needs of all of the travelers whether they are looking for a small bag or a large bag, suitcase or duffle etc. Also, they are available in lots of color variations and sizes. Therefore it is one of the best and popular luggage brands available in the market. Without consuming any more of your time, let’s proceed towards the review and thoughts of our on this product. We will try to cover all the important details, pros and cons of the product. 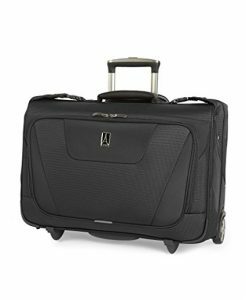 The Travelpro Maxlite 4 Expandable Rollaboard & Spinner is one of the best luggage bags that you can find which is easily movable and works great with general airline travels. You can choose from the different variants as per your requirements as we mentioned earlier. There is enough space inside, so for sure you can fit in anything and get rolling! From the photos, you can surely tell that it looks exquisite. Travelpro made it look very professional, so you can carry it on for your business trips and also while visiting family and friends. Seven of the variants have wheels, and these bags are very portable and are easy to drag or carry around. They are so smooth that on a perfect road you won’t be bothered by any noise. These four wheels help the bag to easily distribute the weight across the four ends of the bag. On some variants, wheels are very big, which can be quite helpful if you are traveling to the areas who have bumpy roads. The handles and the straps that are available on the Maxlite 4 are very durable and provide a nice grip and touch to the whole thing. You will never feel uncomfortable in your hand while carrying them for a longer time of period. Maxlite is made to be durable. It can easily withstand almost any weather condition. You will notice no wear and tear in the regular usage. 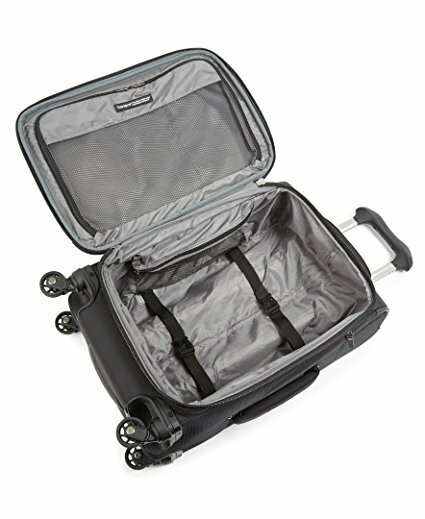 The Material of these products are pretty darn great, and this will be the best luggage choice that you have ever made. The material that is used on the exterior is flexible and can provide more protection a true hard-shell case. Additionally, this material makes sure that not too much of weight is added. Also, it does come with a limited lifetime warranty. Almost everything on Travelpro Maxlite 4 is covered with water and stain resistant coating. Important: This product is also featured in our best carry on garment bags. 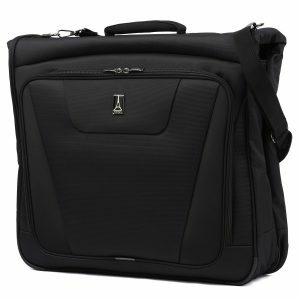 Don’t forget to check it out if you are looking to buy garment bag that can keep your clothes organized and wrinkle-free. If you have read the above section then you are already convinced that Travelpro has designed these garment bags so that you can fit all of your garments adequately in your bag. But as we are reviewing this item it is our duty to inform you about the same. 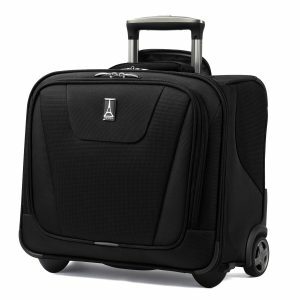 The rolling carry on garment bag is of 48L storage. Despite being this big storage it still fits most carry on criteria as mentioned on the official website. You can never complain that any of the Maxlite 4 bags look ugly. They are made up of premium quality material whether it is inside material or outside. Also, the handles and straps on this bags are beautiful as well as very durable. Also storing your clothes in these garment bags will ensure that they remain wrinkle free during the travel. It is made up of Polyester fabric with water and stain resistant coating and will have very less wear and tear effect with time. 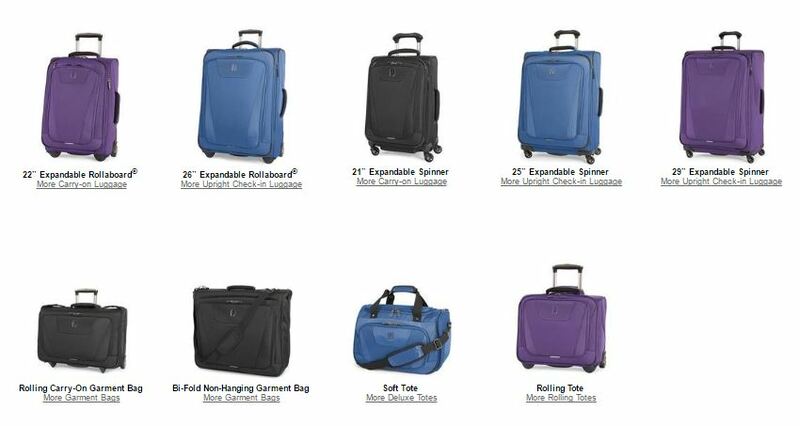 If you still face any quality issue with your Travelpro Maxlite 4 then rest assured because all these products are covered under Limited Lifetime Warranty by Travelpro. If you are the type of person who needs very minimal things to carry while traveling then stop looking anywhere else because these both bags are for you. If you like to carry your bag with hands than Maxlite 4 Soft Tote is your savior otherwise the Rolling Tote is suitable for you. 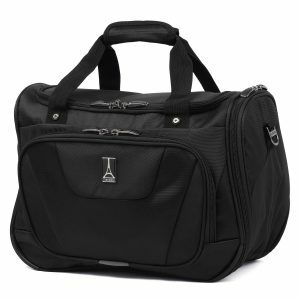 Both of the bags can accommodate around 26-28 Litres of storage and which is generally great for a light traveler. As we mentioned earlier that these bags are specifically designed for light travelers and hence you will have no problem getting around anywhere with these bags. This is because they can fit almost anywhere like your car trunk, your legs while traveling, under the seat on a bus or public transport etc. All of the Travelpro Maxlite 4 are made up of the exact same material of choice and this what makes it perfect. Also, the limited lifetime warranty applies to these bags. If yes, then let us know in the comment section below. We are very new to reviewing the luggage, so we would like you to suggest us about the points that you would like us to cover in the reviews. We would be glad to know your ideas. Thank You!